Christian is actively building the API integration and data exchange platform xapix.io with a global team to shape the future world of bits around us. Based in the US, he is a Masters Fellow in System Design and Management at Massachusetts Institute of Technology in Cambridge, MA and spent his last summer with UBER Technologies as a Developer Advocate in SF. He focuses on the intersection of information technology and digital management. At MIT, he worked as a Research Assistants for MIT Sloan’s Initiative on the Digital Economy on corporate innovation and led a team at MIT to build the next generation of digital transport products for Hyperloop Transport Technologies. 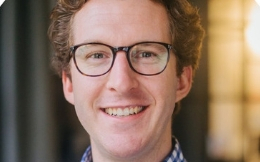 Prior to MIT, Christian co-created the Lufthansa Innovation Hub in Berlin where he focused on building partnerships and an API for Lufthansa Group. Positions held at LH include those of the Executive Assistant to the Board at Lufthansa Cargo for Finance & HR as well as to the CEO of LH Cargo. Together with fellow World Economic Forum Global Shapers, he has built up the NextB2BForum which strengthens the collaboration of corporations and startups where he focused on innovation & trends in the mobility sector. During his time in Frankfurt, he actively built the Frankfurt Hub of the G20 Foundation, a millennial driven think tank which has established itself as an active player in the G20 process. Previously, he gained work experience at various departments of Lufthansa Group and in energy consulting for SDI Management Consulting. Christian studied Aviation Management at the European Business School in Oestrich-Winkel (Germany) and Georgia State University in Atlanta (USA). Short-term courses at Singularity University (Innovation Partnership Program) and Stanford University (Online courses in Computer Science) have helped him expand on that foundation. Involvements with Rotaract, NEXUS Global Youth Summit, and the WEF Global Shapers (Frankfurt+Boston) additionally broaden his outreach.